Our real dining room is finally starting to come together. I still need to replace the bench with a settee on one side of the dining table, but I finally got curtains, (almost) finished the chairs and replaced the lighting. 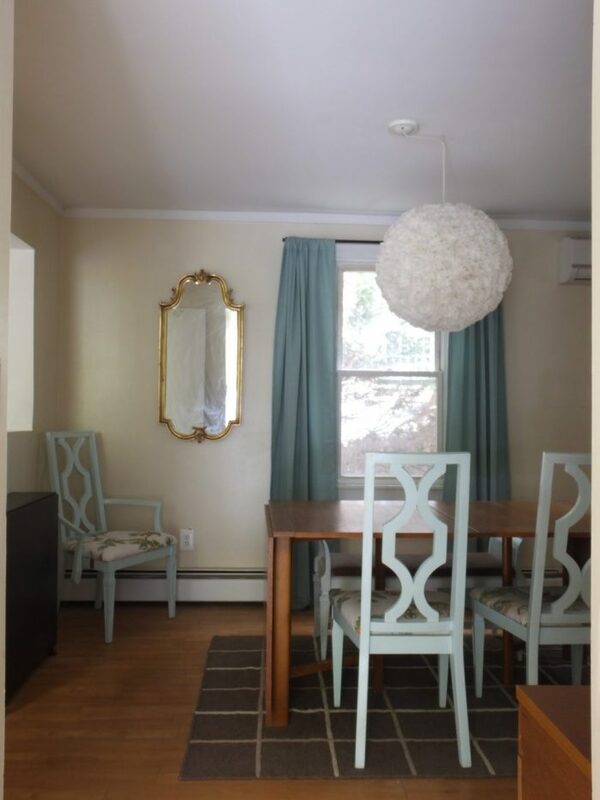 When we moved in, we had an icky (and way too small) brass and yellow glass chandelier. I removed the globes and painted it black a few days after moving in to tide me over until I found a new one. We finally replaced it with a DIY light last week. I wish the pictures did it justice. They don’t. It’s feminine, but not as feminine as it looks in photos. 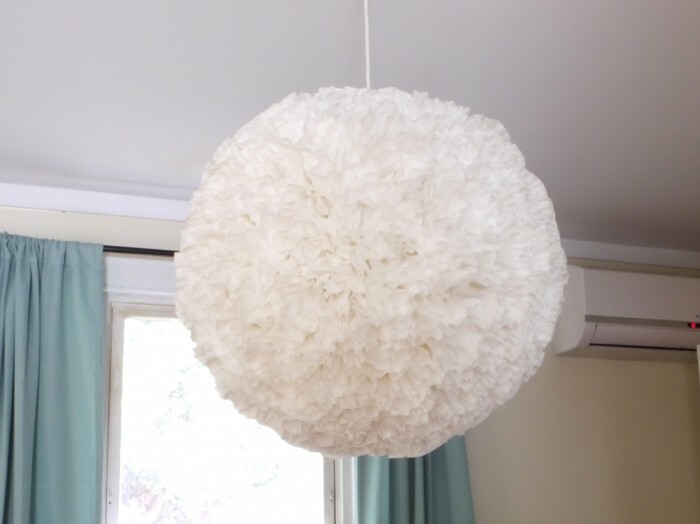 It looks like a giant snowball in person, and it adds so much fantastic texture to the room. But then when you turn it on, not only does it still light up the room, it looks like a glowing star. I don’t think we’ve had a single person (even guys!) visit that haven’t stared and asked about it (and even asked me to make them one). 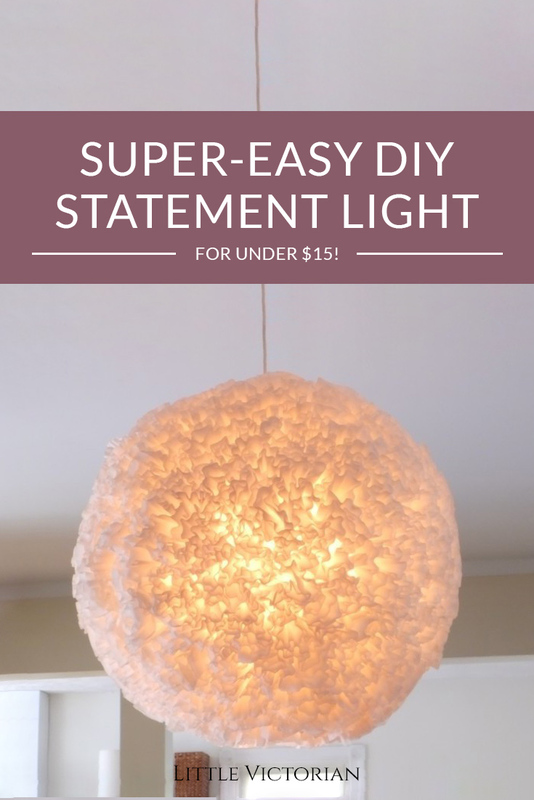 It’s a super easy, very cheap DIY. It takes time, but you will NOT regret it. We already had the shade and cord, but to buy them new from IKEA is only $9. 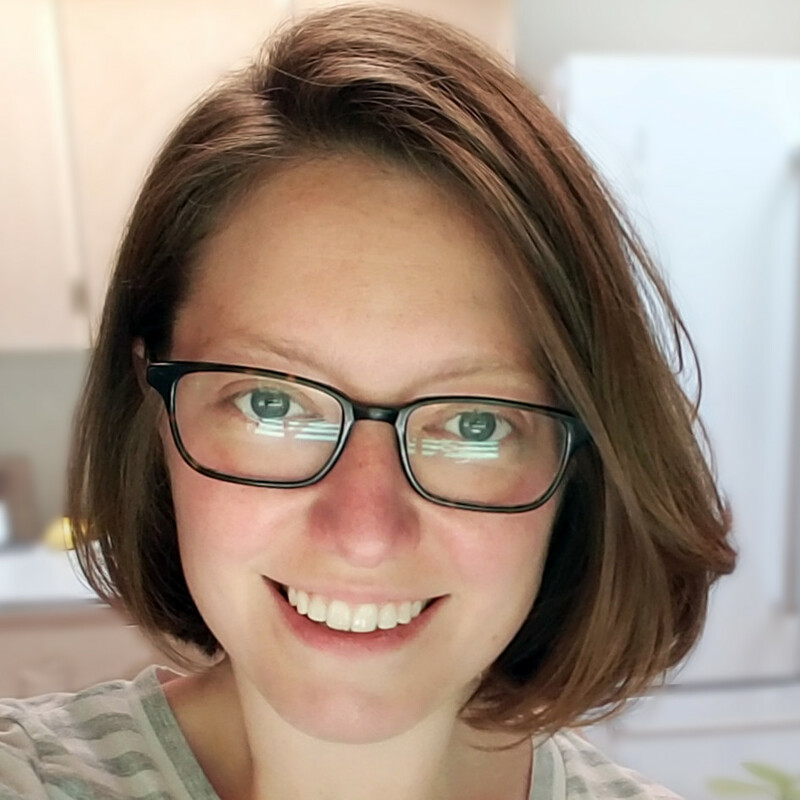 It takes about 350 coffee filters (I underestimated and had to go back to the store twice–when it looks like you only need about 50 more, you probably need over 100), and those cost less than $4. It’s one of the easiest projects ever. Separate a few dozen of the coffee filters first to speed up the process. Glue the filters to the shade one at a time. Apply hot glue to the outside of the scrunched up bottom of the coffee filter while it is still holding it in one hand. Stick the filter to the shade. Keep going for 3 hours. 🙂 I put each coffee filter snugly up against the one(s) next to it. 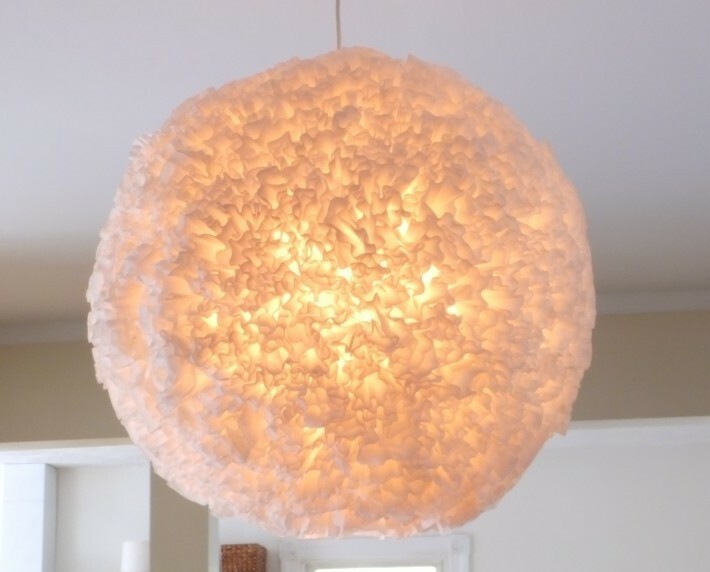 Don’t leave too much space, or it will be obvious that it’s just coffee filters glued to a shade. 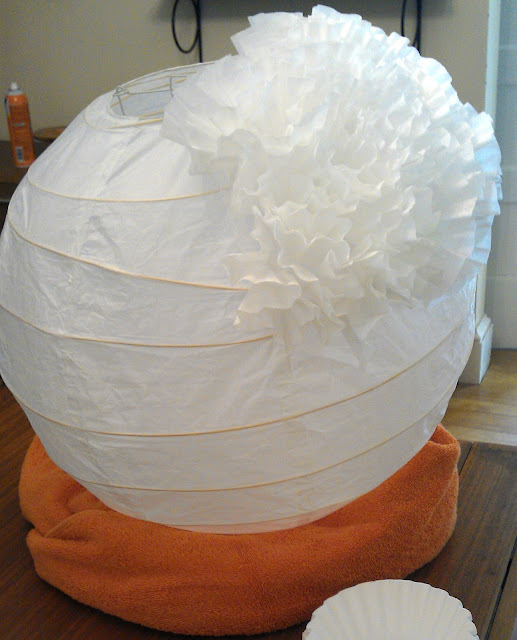 The shade gets heavy where you put the coffee filters, and will try to roll away as you’re working, so to get it to hold still, I made a base from a towel. Just roll one up and then form a circle with it, then put your lantern on top. The cord set is made for plugging in, but to hardwire it (if you’re comfortable with electricity), just cut the plug off, and pull the wires apart–at that point, it will be exactly like replacing a hardwired light. (Update: I made a tutorial of turning a plug-in light into a hard-wired light.) If you don’t want to hardwire it, the cord set comes with hooks so you can plug it into a socket and hang it from anywhere. It really doesn’t look orange at all when it is on, it just shows up that way in photos. I’ll get this photography thing figured out someday. HA! Just noticed the broken chair arm in the corner. If you don’t already already have the supplies, this project would cost about $14 and take about 3 hours. I totally recommend it. It’s gorgeous. I can’t wait to see it in real life! Very pretty! 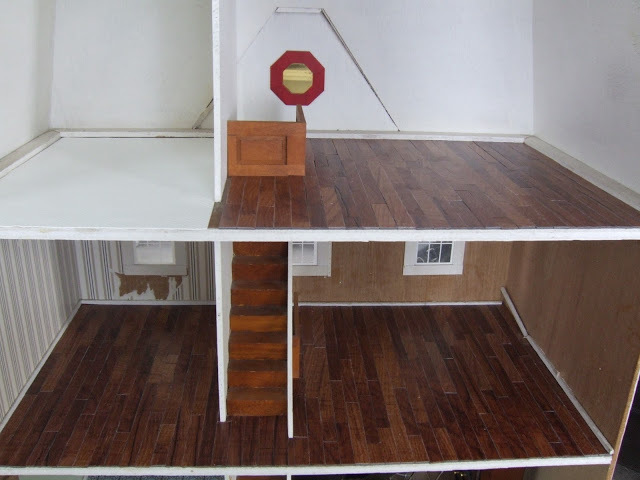 I love your dollhouse renovations too! i love this, you are a genius!